We have a 100% placement rate for graduates who have received New York State initial teaching certification. Buffalo State music education graduates have received music teaching jobs locally, state-wide, and nationally. Our recent graduates have received jobs in Buffalo, New York City, Arizona, and California. Students who successfully complete the Mus.B. in Music Education at Buffalo State are granted New York State Initial Teaching Certification for Pre-K through Grade 12 for General, Choral, and Instrumental Music (Broadfield). Buffalo State is the only SUNY school that does not limit students to a single area of focus. To prepare music education majors to be 21st century music teachers, they are guided in using mobile devices in their music courses and with their future music students. Several courses incorporate Bring Your Own Device (BYOD) technology, allowing students to use their personal mobile devices to access course content during and outside of class time. Buffalo State is the only urban SUNY school, allowing music education majors the unique opportunity to develop teaching skills in urban, suburban, and rural areas. Students enroll in three field experience courses before student teaching, gaining experience in a variety of diverse teaching environments, and in a variety of subject areas, including band, chorus, and general music. Those experiences lead to our graduates being marketable for a variety of high-quality teaching jobs. Music education majors have many opportunities to interact with PreK through 12 students throughout their time at Buffalo State. The Community Arts Academy music classes are lab classes where music faculty guide music education majors in interacting with children ages birth through 12 and their parents. The music department has a Professional Development School partnership with Lindbergh Elementary School, which allows music education majors more hands-on teaching experience. In music education courses, students engage in hands-on projects. In Introduction to Music Studies and Careers, first-year music education students create and perform an educational concert for public school children. In Technology Applications for Music Education, students design innovative music courses for middle and high school students. In January 2018, music education coordinator Dr. Kerry Renzoni, in collaboration with the School fo Education Professional Development Schools Consortium, led a trip to Torremaggiorre, Italy. Students had the opportunity for a unique immersion experience in early childhood music teaching. The music education program leads to a New York State Initial Certification for teaching Pre-K-12, broadfield in New York State schools. This program requires intensive study in music performance, music history, music theory, and methodologies of teaching, with special focus on world music and urban culture. Students who are interested in the Music Education major must Apply for Admission to Buffalo State by completing a SUNY application and Register for an Audition for the Music Department. Once the application is reviewed by the Office of Admissions staff, applicants will be contacted to arrange an audition and interview with members of the Music Department faculty. Admission to the Music Education major is based on the outcome of the audition and interview. Freshmen or transfer students who have a successful audition, but do not pass the interview, will be offered admission to the Bachelor of Arts in Music degree. Entry into an educator preparation program (like Music Education) at the undergraduate level requires a High School Average of 85% or higher, which is considered equivalent to a collegiate GPA of 3.0. Transfer students applying to these programs must demonstrate a GPA of 3.0 either in the last semester of full-time study or as a cumulative average from multiple colleges, whichever is a more accurate representation of ability. Candidates applying to educator preparation programs must submit an SAT or ACT score as part of their application to Buffalo State. Prospective candidates who do not yet demonstrate a 3.0 GPA and/or high school average of 85% or higher should consult the Coordinator of Undergraduate Music Education or the Music Department Chair for suggested pathways to achieve successful candidacy. All prospective Music Education students must audition for admission to the Music Department. Prospective students are afforded two opportunities to audition for admission. If a student is not accepted after the second audition, a third audition is not permitted. Click here to Apply and Audition at SUNY Buffalo State. Students who have taken a leave of absence exceeding one academic year will be required to audition for readmission to the Music Department. Juniors and Seniors who have successfully entered the Upper Division Music Education program and have taken a leave of absence exceeding one academic year may be required to audition and re-interview for placement in the Music Education program, at the discretion of the Music Department Chairperson. Student must also Re-apply for Admission to Buffalo State after an absence exceeding one academic year. Transfer students who are interested in the Music Education major must first Apply for Admission to Buffalo State College as a Music Education major with lower division status. As soon as you complete the SUNY Application, transfer students must Sign up for an Audition and Interview with members of the music faculty. For transfer students, the initial interview for acceptance to the Upper Division Music Education program must have completed or be enrolled in MUS 330- Music Theory III and MUS 318- Aural Perceptions III. If a student has satisfied the requirements for Music Theory III and Aural Perceptions III, then the interview must occur in their second semester of full-time study. Students may not interview prior to the completion of two semesters of full time study as a Lower Division Music Education major. However, all students must complete the initial interview after no more than 5 semesters of full-time study as a Lower Division Music Education major, regardless of Theory and Aural Perceptions enrollment. The faculty reserves the right to compel the initial interview for acceptance to the Upper Division Music Education program at any point in a Music Education major’s course of study. For acceptance to the Upper Division Music Education program, Music Education transfer students must successfully satisfy the requirements stated in this handbook. Transfer students who do not satisfy these requirements cannot enter the Upper Division Music Education program. If a transfer student does not pass on the first attempt, the jury and Music Education Interview must be held a second time within one academic year of the initial attempt. Failure to pass the admission process on the second attempt will result in permanent dismissal from the music education program. All Music Education majors are required to compile and maintain an electronic teaching portfolio in Taskstream. Detailed requirements regarding content and layout are available online or from the music education coordinator.  All portfolio design and content requirements will be covered in coursework. If additional assistance is required, it is the responsibility of the student to seek instruction or guidance from the music education coordinator or other appropriate sources. Students will NOT attain Upper Division Music Education status or be permitted to student teach without an appropriate electronic portfolio as determined in corresponding coursework. Upper Division denotes the advanced set of courses in the Music Education curriculum (Elementary Methods, Secondary Choral Methods, Secondary Instrumental Methods, co-requisite Field Experiences, Student Teaching, and Student Teaching Seminar) required to complete the Bachelor of Music in Music Education (B.Mus.)  degree at Buffalo State College. Upper Division Status must be attained before registering for any Upper Division music education courses. All B.M. in Music Education Lower Division students must demonstrate their readiness to proceed to the Upper Division Music Education program through the music education interview. For students who enter Buffalo State as freshmen, the initial interview for acceptance to the Upper Division Music Education program must occur in the fourth semester of full-time music study as a Lower Division Music Education major. For transfer students, the initial interview for acceptance to the Upper Division Music Education program must occur after completing or while enrolled in MUS 330- Music Theory III and MUS 318- Aural Perceptions III, or in the second semester of full-time music study if a student has satisfied the Music Theory and Aural Perceptions requirements. The faculty reserves the right to compel the initial interview for acceptance to the Upper Division Music Education program at any point in a Lower Division Music Education major’s course of study. Fulfill college competency requirements in mathematics and English composition. Successfully complete MUS 122 with a minimum grade of C.
Maintain a minimum cumulative GPA of 3.0 in major coursework and 3.0 overall as calculated by Degree Navigator. Pass a juried performance commensurate with admission to MUS 371. Satisfactory professional disposition as assessed by the Professional Disposition Report (PDR). Compile and maintain an electronic teaching portfolio in TaskStream according to stated criteria (see Electronic Teaching Portfolio). Successfully pass the Music Education Interview (see Music Education Interview). The successful outcome of the above-described process will indicate the music faculty's confidence in the student's ability to complete the program and become a successful music educator. Students who are unsuccessful in attaining Upper Division status upon the initial attempt must reapply for Upper Division status one academic year following the initial attempt. Failure to pass the admission process on the second attempt will result in permanent dismissal from the music education program. Pass: Pass all five sections. Conditional Pass: Pass at least three sections. May be admitted to Upper Division pending results of other Upper Division admission requirements. If admitted to Upper Division, the student must retake failed sections at the end of first semester of Upper Division. Failure of retaken sections will result in removal from the Music Education degree. Fail: Fail three sections or more. Must retake the entire exam. In addition, Music Education majors must have a working knowledge of the TEU’s conceptual framework. 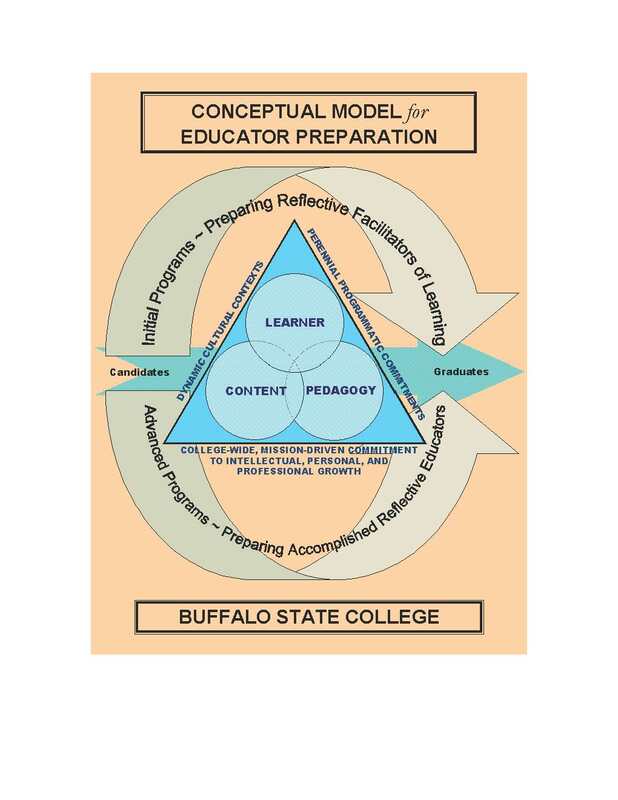 The conceptual framework for all teacher preparation programs at Buffalo State College articulates the unit's vision, ensures coherence across candidates' programs and reflects our commitment to prepare candidates to work effectively with all students including students with culturally, linguistically, and ethnically diverse backgrounds and students with disabilities. Transformation: the process of transforming material by interpreting it critically in light of one's own evolving understanding, by identifying alternative ways of representing it to learners, by choosing from an instructional repertoire, and by adapting and tailoring it to learner characteristics. Instruction: organizing and managing a classroom, presenting clear explanations, assigning and reviewing work, interacting with learners through questions and probes, responding to answers and reactions, and providing praise and criticism. Evaluation: formal testing and formative assessment to obtain information for making instructional decisions, providing feedback to learners, and determining grades. Reflection: the process of examining the teaching and learning that has occurred by reviewing, reconstructing, re-enacting, and analyzing one's own teaching behavior and the learners' performance. For Buffalo State College's conceptual framework, the term "critical reflection" will be used to emphasize the need for teacher candidates to critically examine or reflect upon their performance as reflective facilitators of learning. Required Outcomes for Music Education Students: The model describes the purposes, processes, outcomes, and evaluation of the professional education programs at the basic level. It consists of three major components -- the Learner, the Content and the Pedagogy. These three components are interrelated and integrated to prepare teacher candidates to assume roles as reflective facilitators of learning through coursework and experiences in each component of the model. The reflective facilitator of learning has a broad liberal arts background coupled with pedagogical knowledge and content knowledge and exemplifies those qualities and dispositions that characterize effective teachers. When considering the three major components of the conceptual framework, it is important to acknowledge that all learning occurs within an ever-changing context: the environment of the school, the local community, and the broader society. Instructional context encompasses such factors as the prevalence of technology within a school, as well as those issues pertaining to diversity and inclusion. The nature of Buffalo State College's teacher education programs reflects our awareness of the influence of instructional context on learning. We seek to prepare our candidates to experience a variety of teaching situations through authentic context learning experiences facilitated through various k-12 community partnerships, and to adjust continually to changes within the profession. All degree candidates in the Music Education program will strive to attain and exhibit the Interstate New Teacher Assessment and Support Consortium (INTASC) Standards. The teacher understands the central concepts, tools of inquiry, and structures of the discipline(s) he or she teaches and can create learning experiences that make these aspects of subject matter meaningful for students. The teacher understands how children and youth learn and develop, and can provide learning opportunities that support their intellectual, social and personal development. The teacher understands how students differ in their approaches to learning and creates instructional opportunities that are adapted to learners from diverse cultural backgrounds and with exceptionalities. The teacher understands and uses a variety of instructional strategies to encourage students' development of critical thinking, problem solving, and performance skills. The teacher uses an understanding of individual and group motivation and behavior to create a learning environment that encourages positive social interaction, active engagement in learning, and self-motivation. The teacher uses knowledge of effective verbal, nonverbal, and media communication techniques to foster active inquiry, collaboration, and supportive interaction in the classroom. The teacher plans and manages instruction based upon knowledge of subject matter, students, the community, and curriculum goals. The teacher understands and uses formal and informal assessment strategies to evaluate and ensure the continuous intellectual, social and physical development of the learner. The teacher is a reflective practitioner who continually evaluates the effects of her/his choices and actions on others (students, parents, and other professionals in the learning community) and who actively seeks out opportunities to grow professionally. The teacher communicates and interacts with parents/guardians, families, school colleagues, and the community to support students' learning and well-being. Graduates of the Bachelor of Music in Music Education program at Buffalo State receive New York State Initial Teacher Certification. Information, policies and procedures regarding certification is available through the Buffalo State Teacher Certification Office. BM.4.1. A basic knowledge of music history through the present time, including study and experience of musical language and achievement in addition to that of the primary culture encompassing the area of specialization. This map shows the relationship between the competencies expected for the degree and the 22 assessments listed above. Furthermore, the map shows in which courses the competency is addressed and assessed.